The Poem Farm: Diving Into Poetry Friday! Students - Summer is here, and with it...time at the pool. Our family belongs to a community pool in town, and I love watching our children swim. So far I haven't gotten in yet, but I will. I do love watching our son Henry dive, and that moment of suspension-in-air (especially when he hasn't yet been in the water) always makes me smile. This poem is about that moment between land and water when one wonders how cold the water really is! You probably noticed some bouncing along in the line breaks here. I did that to mirror the feeling of jumping from a diving board, that letting-go feeling. Whenever I move lines around, it is for a reason. This was a great month for me here at The Poem Farm. I met my second cousin Kat from Georgia, US through a poem, and I also met a new artist friend. George, from South Africa, will soon share a poem illustration here. The Internet is some kind of magic. Today I am very happy to host Poetry Friday and also to welcome my friend Emily Krempholtz who is visiting my other blog, Sharing Our Notebooks. Allow yourself to be inspired by Emily's notebooks, and don't forget to enter her giveaway by simply leaving a comment. Teachers - This week launched Teachers Write! over at author Kate Messner's blog. All are welcome to participate, and it is a lovely community and way to dig into summer writing. I have a new little notebook for this, and I'll be offering a quick-write on Tuesday, July 9. For more information, visit Kate's blog. Come on up to the treehouse and visit with Charles Ghigna and Charlotte Rose. They are trying to write poems -- in between all of the giggles! Too much fun at the Father Goose Blog. 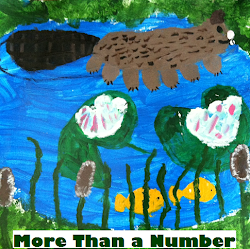 At TeacherDance, Linda shares an inspiring article about writing about nature with children - beautiful work. Listen for her granddaughter's poetry too! 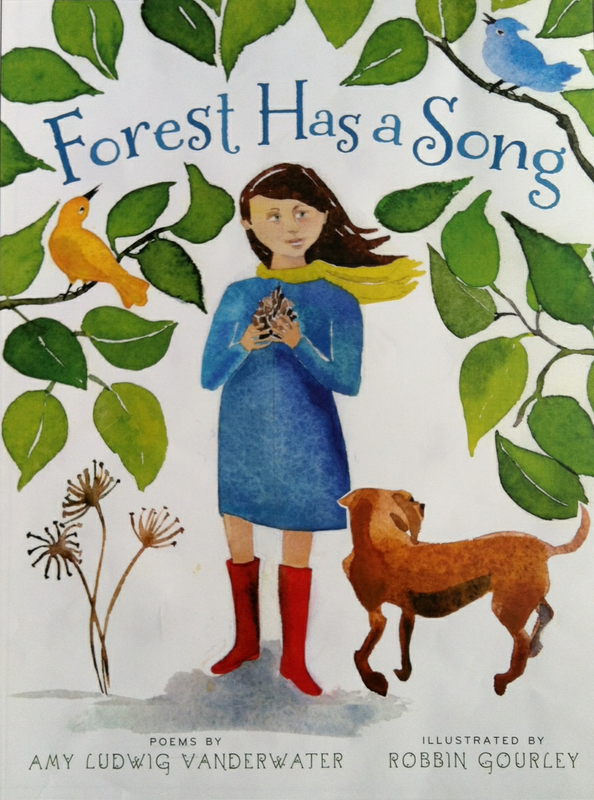 Our friends at TeachingAuthors today are giving a standing ovation in honor of the 75th Anniversary of the Caldecott award...and the sound of applause inspires a poem. At The Drift Record, Julie gets a little political with a sonnet by Shakespeare about removing impediments to marriage when love is true. Inspired by a non-fiction book she read this week, Katya offers a Sarah Teasdale poem at Write. Sketch. Repeat. 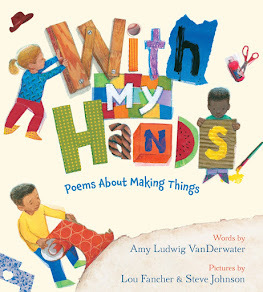 Jama is buttering up her readers at Alphabet Soup today with a poem by Elizabeth Alexander. Laura is reminiscing about summer camp today at Author Amok. Her post has bug juice, musical theater, and "Food, Glorious Food" poems. At inside the dog... Steve offers up original poem about all the rain they've gotten in NE Iowa during the last week. Tara has been thinking a lot about the DOMA decision, and the poem she shares at A Teaching Life reflects this. At The Opposite of Indifference, Tabatha has a Voice of America recording with our U.S. Poet Laureate, Natasha Trethewey - about finding the poem that speaks to you. Ruth shares a Charles Simic poem and essay about poetry at There is no such thing as a God-forsaken town. Over at Today's Little Ditty, Michelle has an original Neil Gaiman inspired poem titled "My Mountain". To help kick off the first week of Teachers Write, Catherine offers "The Cities Inside Us" by Alberto Rios to celebrate writers and writing over at Reading to the Core. At Reflections on the Teche, Margaret shares an original ekphrastic poem prompted by Tabatha's summer poem swap. At I Think in Poems, Betsy will soon have a poem about a gentle walk she hopes to take near her home. And don't forget this month's Chalk-a-Bration at Teaching Young Writers! June's chalking fun will be two day's from now, Sunday, June 30. Link on in with Betsy. Here's how! Donna from Mainely Write shares her poem "Two Rainbows and the Moon", recently published in the ezine SHADOWS EXPRESS. Her poem is on p. 51 - the last page, and she encourages us to enjoy all of the poems in the book! Robyn is in this morning with some thoughts on "Island Time" for summer. She has a poem by U.S. Poet Laureate Natasha Trethewey and an original haiku over at Life on the Deckle Edge. Matt has questions - lots of questions - on his mind today at Radio, Rhythm & Rhyme. Today at Teach Mentor Texts Jen reflects on all the people who have impacted her life and how much people can mean to us. Irene is in with Valerie Worth poems about household objects at Live Your Poem. Diane is in with three posts. At Random Noodling she has an original poem called "Independence Day." Kurious Kitty has some thoughts on pyrotechnics. And KK's Kwotes has a quote by Robert Frost. At Thoughtful Corners, Renee offers two original poems inspired by this week's "Sometimes" quick-write from Teachers Write! Buffy shares the delightful poetry gift she received from Mary Lee as well as the poem she shared for the summer Poetry Swap. Visit Buffy's Blog to read both. 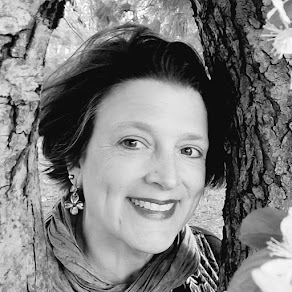 Karen joins us with a summer poem by Amy Lowell over at Karen Edmisten: The Blog with the Shockingly Clever Title. At A Year of Reading, Mark Lee is sharing "Turtle" by Kay Ryan in honor of a recent surprise visitor. Cathy joins Poetry Friday at Merely Day By Day with an original moose-and-summer poem inspired by yesterday's trip to the zoo. At Teaching Tomorrow's Leaders, Robin offers an original poem about how memories drift, stack, and pile in her mind. Over at Kimberly Hirsh: Learning Enthusiast, Kimberly jumps into the pool with "Swim Your Own Race", a swimming poem by Mbali Vilakazi. Dia over at Dia Calhoun: Children's Book Author offers her original poem "Loon Rise", a poem about a bird born not to fly, but to call a call that resonates in the heart. Little Willow shares "Under the Light" from Laura Whitcomb's book of the same name at Bildungsroman. Fats Suela at Gathering Books offers "Mnemonic", a poem by Li Young-Lee about the art of remembering. At Keri Recommends, Keri shares the poetry anthology GOOD POEMS: AMERICAN PLACES, edited by Garrison Keillor, in celebration of the upcoming holiday. Janet's selection at All About the Books is the picture poem book THE MOON by Robert Louis Stevenson and illustrated by Tracey Campbell Pearson. Jim shares his original poem, "New Strings for Ukelele" at Hey, Jim Hill! At Poetry for Children, Sylvia gives lets us peek at the "Cliff Notes" version of her upcoming ALA presentation with Janet Wong. At the Poetry Friday Anthology blog and the Poetry Friday Anthology for Middle School blog, please help yourself to some printable poems to share whenever you wish. Teachers Write! with Kate Messner has inspired Stefanie to start a picture book/poem about the Pee Monster. She shares her first draft of opening stanzas is at Morning Musings. 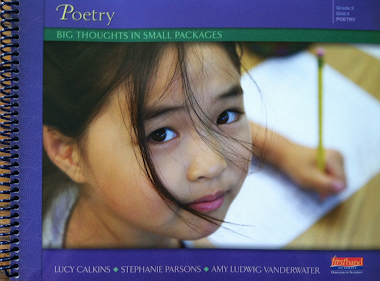 At Poetry for Kids Joy, Joy offers a painting, a dream poem, and a poetry writing suggestion. Hi Amy! Thanks for inviting us to dive into Poetry Friday with you here at The Poem Farm! What a delightful poem -- splash!! Amy! I love "when I dare/ to give myself/ to water/ from land/ to board/ to air"--wowza! And the Internet truly IS some kind of magic! Love your poem, Amy! This week over at The Drift Record I get a little political with a sonnet by Shakespeare about removing impediments to marriage when love is true. Good morning, Amy. I love poems about those in between moments -- after the dive but before entering the water. Great! Inside the dog there's an original poem about all the rain we've gotten in NE Iowa in the last week. Diving in with my entry for today! Thanks for hosting! Hi Amy-- thanks for hosting today! I so enjoyed your suspended moment in time. Here in Florida, I'm more than ready for a bracing cold splash! On Today's Little Ditty, I have an original poem titled "My Mountain" that was inspired by Neil Gaiman. Thanks for hosting today, Amy! Your poem makes me want to go jump in the pool. To help kick off the first week of Teachers Write, I have "The Cities Inside Us" by Alberto Rios to celebrate writers and writing. I want to thank you for donating your amazing book to Kate's online fundraiser. What a treat to have a signed copy! Love the AD Free Button! Your poem made me think of all those times when we jump into something unknown or new and we get that ALIVE feeling! My poem is about a gentle walk I hope to have very soon in the woods far from my home. We go camping this week so my adventure starts tomorrow! However, Chalk-A-Bration is also still on schedule for Sunday, so I hope others will join in the chalkety-chalk fun! Love "one second when my toes let go". I hate diving boards though! A few bad experiences with them...but that's another day. I have for my offering a post I did on Sunday, a day when everyone was out in the sun instead of blogging. I submitted a poem to Shadows Express, an ezine, and it was accepted. "Two Rainbows and the Moon" is on p. 51 - the last page. And of course, enjoy all the other pieces from others in there, too! Happy Poetry Friday/Summer, Amy - loved how you've captured that exhilarating feeling of diving in! I'm finally in this morning with some thoughts on "Island Time" for summer. I have a poem by Natasha Trethewey and a haiku by me. 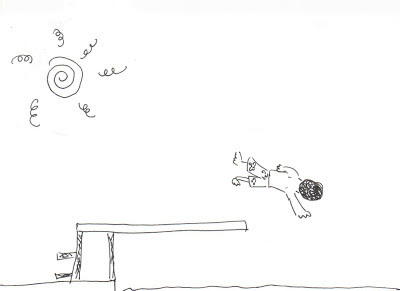 Fun poem, Amy - even kids like me who'd never think of diving into a pool can identify with it! Hi, Amy! So awesome to see you are doing Teachers Write, too! Be sure to visit my blog on Sunday to share how things are going! Today for Poetry Friday I'm reflecting on all the people who have impacted my life and how much people can mean to us. Thanks for hosting! Hi Amy! I'm running so late this morning, excuse this hit and run comment. Kurious Kitty has some thoughts on pyrotechnics. Great poem Amy! I like the "dare myself" line. Thanks for hosting, Amy, and for your mid-air poem--love the way you've captured the moment. I'm in today with the delightful poetry gift I received from Mary Lee, and the poem that I shared for Poetry Swap. Happy Poetry Friday, and happy summer! This week I've been swimming laps in the pool where I was a lifeguard over 30 *gasp* years ago. I have so many swimming pool memories, and mastering the high dive is one of them! I'm sharing Kay Ryan's poem, TURTLE, in honor of a surprise visitor we had recently. There are two open spots on the July-December PF Roundup calendar. Any takers? Anyone want a second roundup next term? Love your poem today. I like the shape of it --- there are parts where I feel like I'm diving. It took me back a few years. Our town had this huge diving board. It was so tall. I can remember getting the nerve up to jump off of that board. It felt much like you described. Today I'm joining Poetry Friday with an original poem inspired from a trip to the zoo yesterday. It's a poem about moose and summer. Hi Amy! I love today's splishy splashy poem! It makes me think of my mom sitting on the dock while we jumped in the lake...good memories. I wrote a poem today about how memories drift, stack, and pile in my mind. Loon Rise--a bird born not to fly, but to call, a call that resonates in the heart. Thanks for hosting! I posted Under the Light at Bildungsroman this morning. Kudos, Laura Whitcomb. Hi Amy!! Thank you for hosting Poetry Friday. I love the structure and rhyme of your poem. I wish I can dive. Alas, I am like the mom in your poem who merely watches people diving. I'm up at Gathering Books for a poem by Li Young-Lee about the art of remembering. It's called "Mnemonic." At Keri Recommends, I've posted about the poetry anthology Good Poems: American Places in celebration of the upcoming holiday. Thanks for hosting, and happy weekending! My selection is "The moon" by Robert Louis Stevenson with pictures by Tracey Campbell Pearson. Hi, Amy, thanks for hosting. Lovely to connect with you, as always. I'm posting the "Cliff Notes" version of my ALA presentation with Janet on Sunday in Chicago. Fabulous poem! Way to slow down a moment! Great website too! Thanks so much for a great forum!